I am so excited to announce that this month I am hosting a beauty workshop with my top favourite luxury beauty brand; Yves Saint Laurent. To be aligned with such an iconic brand is incredible, YSL one that I've admired and been a customer of for so long - it seems almost a dream, but it is really happening! 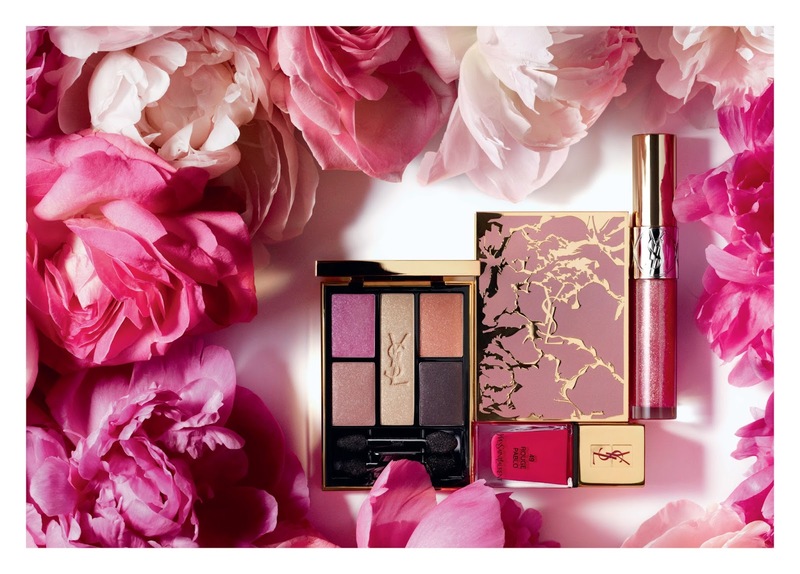 So, here for all of you tonight is the official invitation from myself and YSL Beauty... please see below, and we hope you can make it! 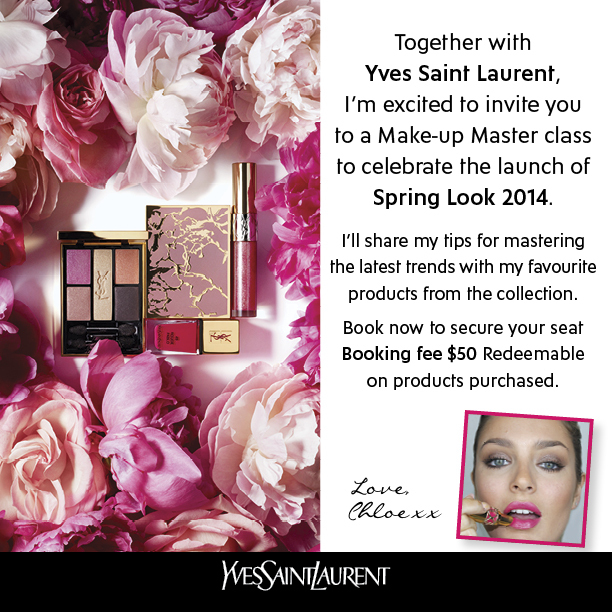 The Sydney event is at Pitt st Myer on Thursday 27th of March at 6pm. Call (02) 9238 9863 to book and for Melbourne, the event is at Bourke st Myer on Friday 28th of March at 6pm. Call (03) 9661 1285 to book or alternatively, head to respective counters and book in person! Delicious food and drink will be provided on the night and I can assure you you'll be spoilt just as you'd expect to be from a brand like YSL. There will be prizes to be won and more - plus big discounts on some of my favourite beauty items... so it is well worth attending if you love YSL like me. Here's an idea of the type of look you can achieve with the collection; these photos are backstage shots of international model Cara DeLevigne, with makeup by Lloyd Simmonds. The makeup is beautiful and soft on the eyes with a bright, juicy lip, perfect for spring. Theres a fusion of fruity colours blended over the lid and a deeper plum shade that's used for a subtle smokey effect on the lash line. I love the use of all these colours, it still remains wearable and is perfect for everyday if you want your makeup to be on trend; but when the bright lip is added it takes the look that few steps further and is a stunning evening look. Isn't the packaging just the most stunning you've ever seen? I'll be getting backups of everything as collectors pieces (call me crazy). Before I go, here's some more beautiful imagery from Spring Look 2014, to get you inspired and excited for the event! Just beautiful, I love the nail colour! I hope you're as excited as I am for the event, cannot wait to talk all things YSL, makeup and spring trends with you all! Hey Chloe, how long would this event be roughly? you've no idea how excited I am too! :D :D cannot wait to meet you! pls update us on the additional sessions in MEL PLZ. Would love to attend and missed out on the first session.